Recording system with Dedicated control keys. Xkeys Programmable Keypads, Sticks, & Keyboards. Record 2 video sources or lecturer’s presentation side by side, or number of optional layouts. 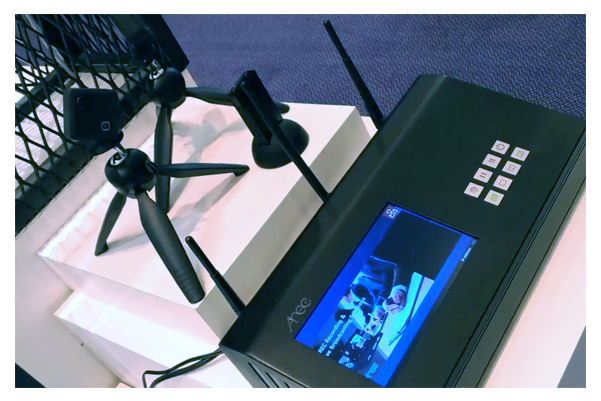 The system provides automatic lectures log management, the ability to control PTZ cameras. Live Chroma Key, three channels of graphics and two media channels. Live chat conversations, coding systems in the cloud. calls Live Chat, And encoding systems in the cloud. 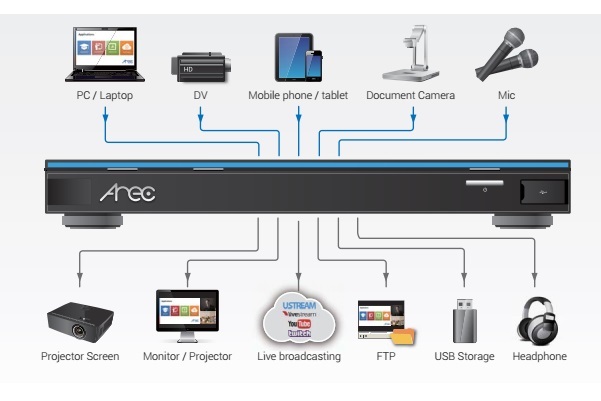 A true all-in-one device to offer high quality Full HD synchronized recording, storage, backup, live streaming and remote management. Built-in 1TB Local Hard Drive and Professional Online Director. 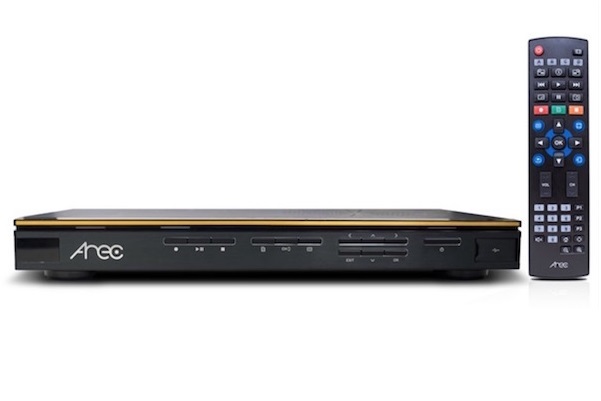 Flexible 4-Channel-In and 5-Channel Video-Out Design. Simultaneous Live Streaming and Recording. 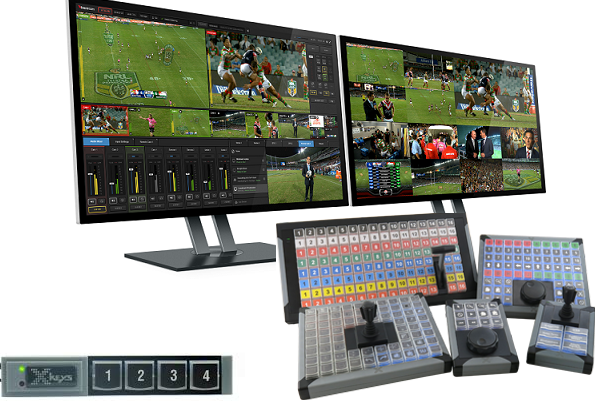 3 Video Sources Mixing, Switching and Live Streaming. Standalone Design, Reliable and Easy-to-Use. 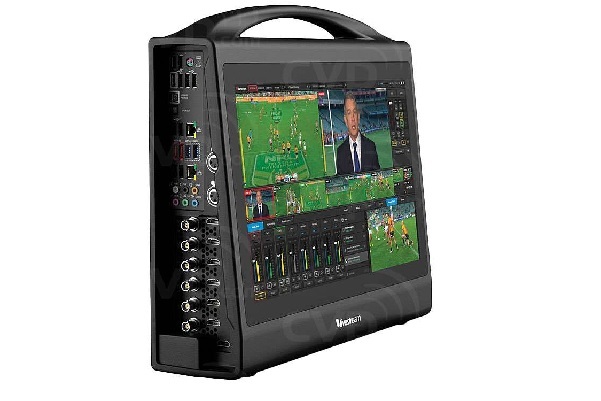 Ideal Live Broadcasting Device for Teaching, Presentations, Events or Training. Wireless & 7 ” monitor. 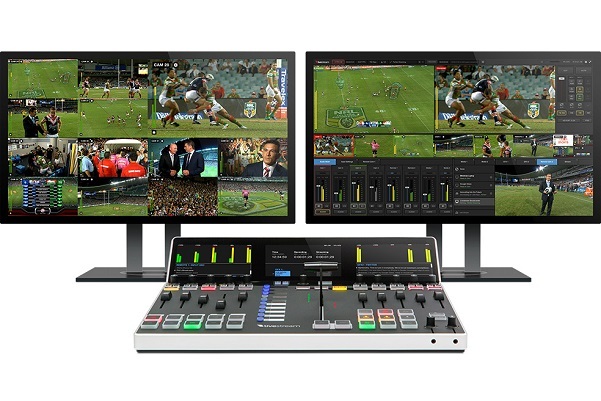 2 Video Sources Mixing, Switching and Live Streaming. Standalone Design, Reliable and Easy-to-Use. 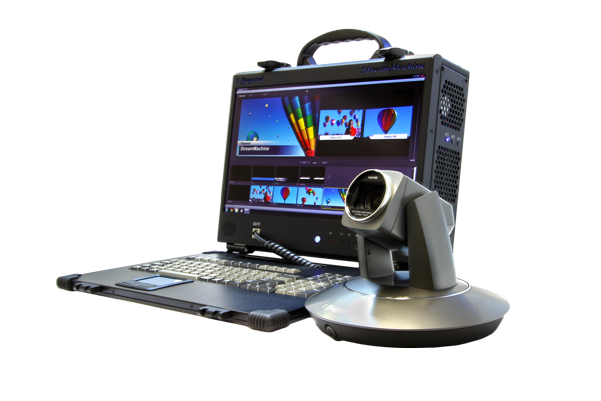 Ideal Live Broadcasting Device for Teaching, Presentations, Events or Training.